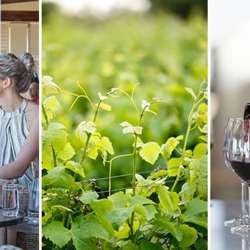 You must be a member of the Cape Town Wine Group to attend this activity. Would you like to join this group? Taste De Grendel wines in a setting that Table Mountain smiles upon. The views of Table Mountain and Cape Town from the long glass encased verandah of the De Grendel Tasting Lounge and Stoep are possibly the most spectacular of any wine farm in the Cape. Look out over the vineyards to the magnificent view of Table Mountain, Cape Town city and the Atlantic Ocean, or chill in the relaxed lounge atmosphere.